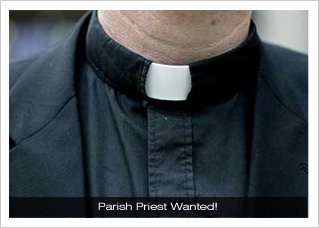 All Saints' Church Northampton - Parish Priest Wanted! The Diocese of Peterborough seeks to appoint a Priest in Charge for the Parish of All Saints with St Katharine and St Peter in Northampton. Could it be you? daily basis (Daily Mass at 12:30pm, Choral Evensong at 6:00pm (Sunday, Monday, Wednesday, Friday), and Masses at 8:00am (BCP) and 10:30am (Solemn Choral Mass) on Sundays. The PCC is proud of its fine choirs, seeking to offer the best of traditional choral music to the glory of God. The church is home to a thriving independent Coffee Shop, open, as is the Church, 365 days a year. We seek a mission focussed priest from the Catholic tradition who will enable All Saints to grow in numbers and faith, provide pastoral care to those in need, preserve and support their choral tradition and build God’s House on a solid rock of traditional Biblical teaching. The PCC has passed Resolutions ABC, and applicants will be required to make an Enhanced CRB Disclosure. Applications should be received by 24 October 2011, and interviews take place on 14 November 2011.